Large electric plant in agriculture field emitting poison in air. 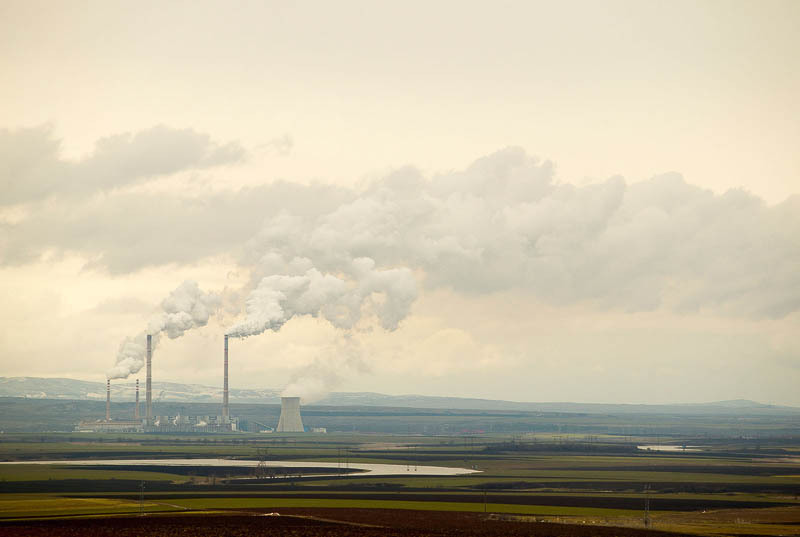 Landscape with electric power factory polluting environment with smoke and heavy metals. Scenery with chimneys of oil refinery emitting gas in nature. Electric energy corporation. Electric energy industry. Ecology. Harmful, toxic emissions.